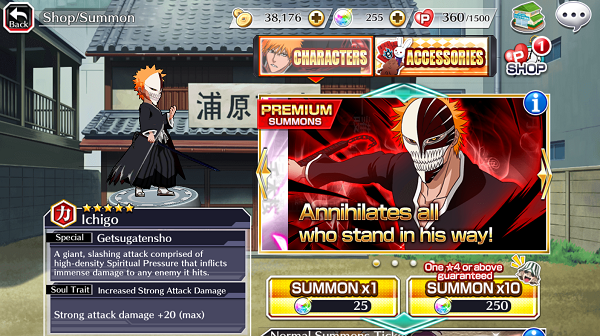 Welcome to the newbie guide for Bleach Brave Souls! This game is published by Klab Global. I believe this is the first big Bleach game on the mobile platform. We will be providing tips to help you progress in the game without making any rookie mistakes we made! This is a hack and slash game that is quite similar to Soul Seeker. You have access to skills that you can use to defeat your enemies. You are going to start off with a 2 star Ichigo. Currently, you can get characters ranging from 1 to 5 stars. Each star level will unlock a special skill that you can use. Higher star character will have more skills they can use. 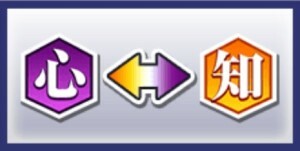 At 3 stars, most characters will have access to their special skills. There are normally 3 areas in a battle map. The first 2 areas are fighting regular mobs. 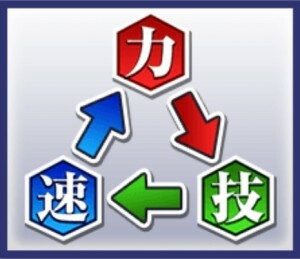 You will gain special souls(3 max) that allows you to use your character’s special attacks. You can have up to 3 members in your party. You can also switch members while in a battle. Most of the time, you won’t need to unless you are facing stronger opponents that are way out of your difficulty level. You can get bad status effects from certain enemies. 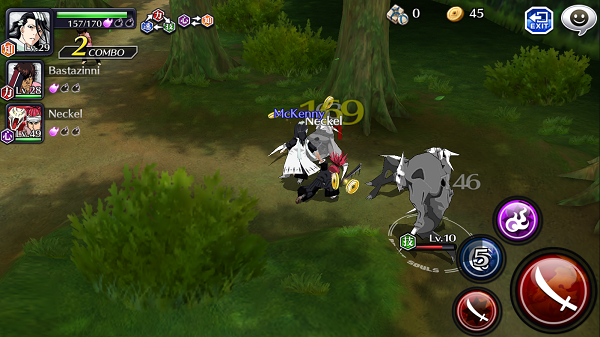 Coins are the main currency you use to upgrade your characters and they are easily obtained from regular battles. Gems are the “pay 2 win” currency that you use to summon characters. You can obtain gems by completing campaign or special event quests. When you complete a campaign/event quest, if you complete all 3 mission objectives, you will get 4 gems. If it is your first time completing it, you get another gem. Premium Summon Ticket – Same as the premium summon but without any bonuses. I recommend you save up at least 250 gems to get the guaranteed at least 1 4 star summon. Gems are fairly easy to get at the start of the game. I was able to amass 250 gems just from regular campaign mode and co-op. That way, you are guaranteed to get at least a strong 4 star summon. Accessories are nice but until you have a solid 5 star roster, accessories won’t be as important. Soul tickets are your energy in this game. You have a maximum capacity 5 soul tickets. You can go over that, but it won’t regenerate more than 5. You get 1 soul ticket per 15 minutes. As for PvP tickets, you only have 5 initially. You get 5 more from the daily quest, so I assume you only get 10 PvP battles per day. This is one of the few games where co-op battles are real time. It requires good connection though. You are able to party with up to 3 other members to fight stronger foes. You can get accessories which you can use to equip on your characters to make them stronger. The bosses are actually quite tough and I have died quite a few times. You do not get any accessories if you die, so make sure you stay alive. You do get 3 gems when you party with a new player that you never played with before. Daily Events – Every day, there will be a specific event you can do to get certain items. Special Events – These are events where you can get 3-5 star characters. I know I got 4 star Sajin from the Film Festival. I am sure they will rotate these events to give us a chance to get new characters. There are normal, hard and very hard modes. The recommended levels are 20, 50 and 100 respectively. Upon completion of all orders, you get 1 soul spirit. Doing it 4 times each week will net you 3 extra soul spirits. The weekly quests will get done as long as you do your daily quests. Through rewards from certain events. What goes against heart and mind attributes. How do I make my 2 star Ichigo into a 3 star? You can’t, you can only evolve a 5star to a 6 star. 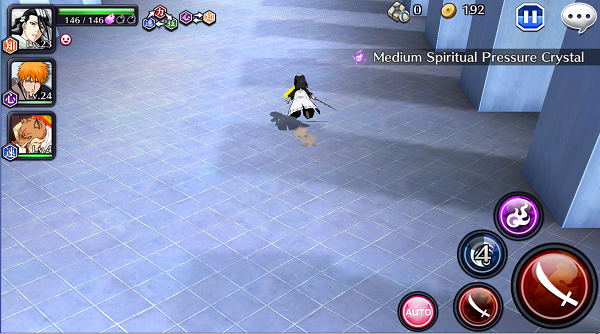 how do raids work?what is their use?who do i need for my 5star shunsui? how do you level up from 5 star to 6 star?i know that i have to max out my soul tree and reach lvl 100 but what do i do next? IF you can upgrade a 5* to 6* you then have a button on the same space the button for the soultree was located before. 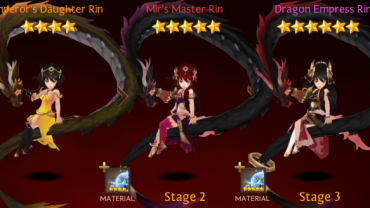 You need the characters you can aquire in raids in order to fully upgrade 6* characters. (example: I have a 6* Szayel and I would need the raid Mayuris in order to unlock parts of his soul tree. in addition 6* character also use jewels instead of crystals (essentially the same thing but jewels only work for 6* and crystals only for 1 – 5*. Since you now can upgrade specials by fusing teh same character together, can I fuse 5* into my 6* or would i need to power my 5* all the way to 6* just so I could trash them into another 6* so the later has a stronger special? If I have a 5* with upgraded special and upgrade him to 6* will he loose his upgrade progress? you can use the 5* character, no need to make it 6 stars to level up special move. Which mission has the most enemies on it. I want to finish the weekly quest more easily. I have to correct you: One quest in the weekly order do you don’t get if you only do the daily quest.